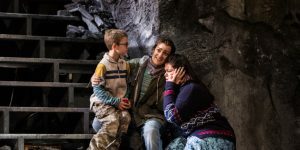 The Young Artists Program (YAP) was established at Glimmerglass in 1988 as an important component of the company’s mission to promote an artistically challenging environment for young performers. The program provides training and performance experience for talented singers at the beginning of their professional careers. This program accepts opera singers, musical theater singers/dancer, coach/accompanists and stage directors. The Young Artists Program is distinguished from many other apprentice programs in the variety and quality of the opportunities it provides its members, most of whom hold bachelor’s and master’s degrees from leading conservatories. Many have already begun professional careers, singing with regional and national companies. For three months, Young Artists are placed in a nurturing environment. They are treated as professionals and provided with compensation, a comfortable place to live, transportation and meals, freeing them to concentrate on their work. The focus of the program is on education through performance. Young Artists receive opportunities to perform and cover appropriate roles in all four mainstage productions and to work with world-class directors, designers and conductors. Young Artists receive musical coaching, attend classes in diction and acting, and are given instruction in such skills as audition techniques, role preparation and the business aspects of managing a career. In 2011, Glimmerglass Young Artists worked with world-renowned soprano Deborah Voigt, who joined the company as the inaugural Artist in Residence. American bass-baritone Eric Owens, who has performed to critical acclaim at Metropolitan, San Francisco and Washington National operas, joined the company as the 2012 Artist in Residence. Julie and Nathan Gunn served as 2013 Artists in Residence, and Christine Goerke was the Artist in Residence for the 2014 season. Bass-baritone Eric Owens will joined the Festival as the 2015 Artist in Residence, and Jay Hunter Morris was the 2016 Artist in Residence. William Burden was the 2017 Artist in Residence. Eric Owens serves as 2018 Artist in Residence. 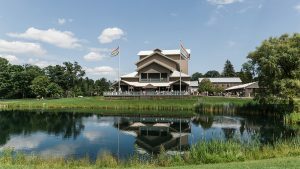 During the summer, administrators from many of the world’s leading opera houses visit Glimmerglass to hear the Young Artists in performance. Many of the Young Artists are offered roles or representation as a result of their appearances at Glimmerglass. 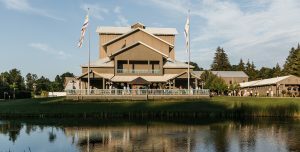 Each Young Artist performs in special concerts in the Alice Busch Opera Theater and the Pavilion next to the theater. The Young Artists also participate in master classes given by distinguished artists. In the past, master classes have been led by Jonathan Miller, John Shirley-Quirk, Theodor Uppman, Phyllis Curtin, Simon Callow, Lorna Haywood, Sherrill Milnes, Evelyn Lear, Thomas Stewart, William Warfield, Vinson Cole and Benita Valente, Steven Blier and Robin Guarino, among others. The company is indebted to the Eugene V. and Clare E. Thaw Charitable Trust, through its donation of Lime Kiln, a residence in Cherry Valley where Young Artists live and train during their stay at Glimmerglass. Applications for the 2020 season will be posted in July 2019.